Dr. Mezzacappa is the Newton W. and Wilma C. Thomas Chair of Theoretical and Computational Astrophysics in the Department of Physics and Astronomy at the University of Tennessee, Knoxville and the Director of the Joint Institute for Computational Sciences, joint between the University of Tennessee and its UT-Battelle partner universities and the Oak Ridge National Laboratory. Prior to this, Dr. Mezzacappa was a Corporate Fellow at the Oak Ridge National Laboratory, Group Leader for Theoretical Physics in its Physics Division, Group Leader for Computational Astrophysics in its Computer Science and Mathematics Division, and had been on staff at ORNL since 1996, where he created a new research program in theoretical and computational astrophysics. 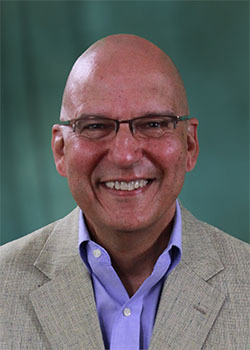 Dr. Mezzacappa held postdoctoral appointments at the University of Pennsylvania and the University of North Carolina at Chapel Hill before joining ORNL. He completed his B.S. degree in physics at M.I.T. in 1980, an M.A. degree in physics from Columbia University in 1982, and his Ph.D. in physics at the Center for Relativity at the University of Texas at Austin in 1988. He has worked in the areas of astrophysics and cosmology and specializes in the theory of core collapse supernovae. Dr. Mezzacappa received a DOE Young Scientist Award from Secretary of Energy Richardson and a Presidential Early Career Award for Scientists and Engineers (PECASE) from President Clinton in 1999 for his contributions to core collapse supernova theory. He was the Principal Investigator of the first large-scale, multi-investigator, multi-institution computational astrophysics effort in the U.S. to focus on core collapse supernovae: the DOE SciDAC Terascale Supernova Initiative. Dr. Mezzacappa was elected a Fellow of the American Physical Society in 2004 and a UT-Battelle Corporate Fellow in 2005 in recognition of his supernova research and his role, much more broadly, in the development of computational science in the U.S. He has served on numerous national committees and has chaired or served as an organizing committee member for a number of international conferences. He was the founding Scientific Editor-in-Chief of Computational Science and Discovery, a computational science journal, and the founding Chair of the Scientific Advisory Committee that oversaw the launch of the SciDAC Review. Dr. Mezzacappa was a member of the DOE Advanced Scientific Computing Advisory Committee’s Exascale Subcommittee and coauthor of several reports motivating tera-, peta-, and exa-scale computing, including Forefront Questions in Nuclear Science and the Role of High-Performance Computing, Scientific Challenges for Understanding the Quantum Universe and the Role of Computing at Extreme Scale, Modeling and Simulation at the Exascale for Energy and the Environment, and A Science-Based Case for Large-Scale Simulation. Dr. Mezzacappa has authored or coauthored more than 200 scientific publications, has edited or coedited 8 volumes in his field or in the broader field of computational science, and has given numerous invited talks internationally. He has also devoted significant time and effort to education and outreach, both locally and nationally/internationally. He was one of the founding members of the Sequoyah Elementary Foundation and led a major IT upgrade for Sequoyah Elementary School of Knoxville that resulted in, among other things, Activboards in every classroom. Dr. Mezzacappa was also a member of the Board of Trustees of the East Tennessee Discovery Center, whose goal is to construct a regional-class children’s discovery center in downtown Knoxville. Dr. Mezzacappa has been active in communicating science to the general public. He and his work have been featured on the National Geographic Channel and in Scientific American, to name a few venues.